Waikato River near Huntly. Photo: Catherine Fry. Hearings for the Healthy Rivers/Wai Ora: proposed Waikato Regional Plan Change 1 have begun in Hamilton and will be held in three blocks, concluding in August. The five-person independent panel is hearing submissions from landowners around the region – including farmers and growers – on what is a bold plan to improve the health of the Waikato and Waipa rivers. Plan Change 1 is the start of an 80-year journey, developed alongside iwi and stakeholders, and one of the largest plan changes of its kind in New Zealand, with it applying to about 10,000 properties and covering a land area of 1.1 million hectares within the two river catchments. The proposed plan seeks to reduce the amount of contaminants entering into Waikato and Waipa catchments to achieve Waikato Regional Council’s Vision and Strategy/Te Ture Whaimana o Te Awa o Waikato of making the river swimmable and viable for food collection along the entire length of the river. The Vision and Strategy was adopted by the Government as part of Treaty Settlement legislation. It also gives effect to the National Policy Statement for Freshwater Management 2014. WRC has a legal requirement to give effect to both of these. Panel chair and independent commissioner Greg Hill says hearings will take some months “and while it is a challenging task, it’s one we’re not shy of”. He acknowledges there are parties who support and others who oppose some parts of the proposed plan change, and there are “quite strongly held views”. As part of the plan change all the sub-catchment areas in the Waikato region have been ordered in terms of priority for cleaning up the waterways. Prioritisation is based on the size of the gap between the current water quality and where the water quality needs to be in 80 years. 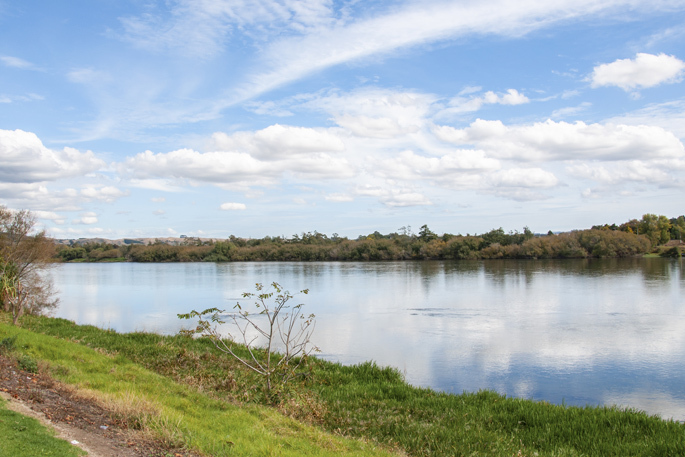 The plan proposes to encompass or include all landowners with more than 2ha within the two river catchments – as of March 31 these properties will have been registered with WRC. Farm Environment Plans will identify risk areas on properties for loss of four key contaminants – nitrogen, phosphorus, sediment and bacteria – and state how they will be managed and reduced within a specified timeframe on each property. Completion of FEPs will be staggered to reflect the priority of the area they are in. Farms that have already taken steps to manage risks associated with the four main contaminants will have less to do. The hearings are being held in three blocks. Recordings of each day’s presentations is at: waikatoregion.govt.nz/the-hearings. Block one will focus on high level policy framework, with blocks two and three considering detailed rules and implementation methods within the plan, such as stock exclusion, FEPs, sub-catchment planning and cultivation, slope and setbacks. This format and the overall timeframe for deliberations has been designed by the hearings’ commissioners to ensure appropriate consideration is given to the high number of submissions that have been received, and to provide all submitters with an opportunity to be heard at least once. WRC chief executive Vaughan Payne says the council has a submission that “supports the overall intent of the plan” but acknowledged he doesn’t “know of any plan that would be perfect”. “I can’t stress enough that the hardest part of a journey is taking that first step,” says Vaughan. “Our submission seeks to refine the plan to help us implement it. The submission and hearing process will ensure there is additional sector and community input to improve the plan change. “My primary interest as council’s CE is that the resulting plan change is both pragmatic and implementable. This is critical,” says Vaughan. At conclusion of the hearings, the panel will make recommendations on the plan change for consideration by the regional council.